Sales of foreign and domestic wine in the United States have risen for 13 consecutive years, yet market share for domestic producers has declined from 91.2% in 1993 to 70.6% in 2006. The U.S wine industry donated $1.2 million to the American Vineyard Foundation for scientific projects, while the smaller-sized Australian industry contributed AUD$10.5 million to the Grape and Wine Research and Development Corporation for basic research. Some U.S. industry leaders are calling for a mandatory contribution from all winegrape growers and wineries to close the funding gap. Since 1993, revenue for U.S. producers in their home market has increased $9.4 billion, while revenue for foreign producers has increased $8.4 billion. 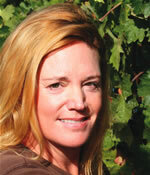 For premium winemakers like Susie Selby, life can't get much better. Empty harvest trays line the corner of her tool shed. And the must she pressed into juice last fall is maturing into wine that promises to be a very good vintage. Since Selby Winery in Healdsburg, Calif., released its first bottle of Chardonnay in 1993, the number of bonded wineries in the United States has risen from 1,683 to 4,929, and U.S. wine sales have grown 59% by volume and 162% by value. During 2006 alone, 2.7 billion liters of domestic and foreign wine retailed for $27.8 billion, according to an industry report. While a dry spring and summer across much of the western U.S. yielded grapes that produce intensely flavored wine, Selby and her peers face a gathering storm--a winter of discontent. Thirteen consecutive years of growth for the industry conceal an alarming trend for U.S. winemakers. While revenues went up, their share of the domestic market declined from 91.2% of dollars in 1993 to 70.6% in 2006. By the time Selby releases her 2007 Bobcat Zinfandel, U.S. wineries will concede an even greater portion of the market to global competitors. "I expect U.S. market share to drop below 70% during the next two to three years," says Dr. Robert Smiley, director of wine industry studies for the Graduate School of Management at UC Davis. "I expect U.S. market share to drop below 70% during the next two to three years." The U.S. is one of the few established markets where demand is growing for premium wine. That makes the U.S. a target for grapegrowers and winemakers elsewhere in the world who are eager to export more expensive bottles of wine. Upstart wine regions such as Argentina, Australia, Chile, New Zealand and South Africa rely on cheaper land, lower-cost labor, lax environmental laws, or labor saving devices and commodity taxes to compete in the global marketplace. They have won market share by challenging vintners in the U.S. with high quality, low priced wine. While Italy remains the leading importer of wine to the U.S., Australia's Yellow Tail became the top selling imported brand by volume in 2003. 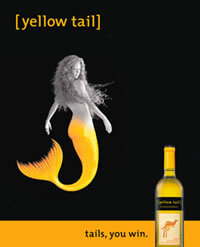 With U.S. sales amounting to $621 million, Yellow Tail earned the top ranked brand by value in 2005--the first time an imported brand led the U.S. wine market in sales. "To exploit a rapidly growing market made up of new consumers requires large volumes of consistent, low priced, premium wine," says Dr. Kym Anderson, a professor of economics at the University of Adelaide in Australia. "A rapidly growing market of new consumers requires large volumes of low priced premium wine." Since 1990, Australian wine and grape production has grown more than 10% annually, while wine exports increased by 16% per year. With domestic consumption growing at a mere 1.2% yearly, and vines planted at the turn of the century now bearing grapes, growth of wine exports to the U.S. and other English-speaking countries has accelerated to 20% per year. As a percentage of annual yield, Australia's wine reserves are larger than other major exporting countries. At 1.5 times annual production, they are 3.5 times greater than South Africa's. With the average unit value of a bottle of wine shipped to the U.S. worth almost twice as much as a bottle exported to the United Kingdom, Australian vintners are eyeing the U.S. premium market, according to Anderson--former economist for the World Bank and executive director of the Centre for International Economic Studies. See "A Graduates Student's Cost"
"It is easy for me as a small American producer to believe that we are impervious to global trends, either because our market share is so insignificant or our price-points are so high," says Susie Selby, a graduate of Vanderbilt University with a B.A. in economics, and George Washington University with an MBA. "Truthfully, if the United States can not compete in its own market, our livelihoods will be affected. The fact remains, we need access to fundamental research to succeed in an increasingly competitive global environment." "High quality, public research would help me make the wise production and marketing decisions I need to compete in the global marketplace." Premium grapegrowing and winemaking demand a highly skilled workforce, and a comprehensive research program to keep up with global producers driven by social and economic conditions to capture the U.S. market. Graduates from the nation's schools of viticulture and enology work as winemakers, vineyard managers and enologists at hundreds of wineries and vineyards throughout the U.S. Yet the amount of money set aside for university research in enology and viticulture has stagnated since the American Society of Enology and Viticulture founded the American Vineyard Foundation (AVF) in 1978. "Applied research is the nation's comparative advantage," says Bill Nelson, president of WineAmerica, the winery trade association that draws most of its members from outside California. "It's the only way the industry can compete with low-cost producers." "We rely on UC Davis, Fresno State and Cornell University in this country, and researchers in Europe and Australia to provide us with information that we can apply to making wine and growing grapes," says Dr. Anil Shrakhande, vice president of research and development for Constellation Wines USA. "Considering the $162 billion impact that winegrapes and grape products have on the U.S. economy," he adds "the state and federal governments should return a greater portion of what they collect to the wine and grape industry in the form of research." The U.S. wine industry and government contribute a fraction of the money that the Australian wine industry and government spend on basic and applied research. Less than half the size of the U.S. wine industry, the 2,000 Australian winemakers and 7,000 grapegrowers contribute eight times as much money for research as their U.S. competitors. California milk producers, part of a comparably sized industry, contribute nearly three times as much for research into basic food science. $1 Australian = $.92 U.S. All production values are 2006. All R&D numbers are 2007-2008. Numbers may not agree due to rounding. *The matching funds include a partnership between the CDRF, milk and dairy product manufacturers and the government. According to a 2005 National Grape and Wine Initiative survey, the U.S. federal and state governments spent $15.1 million on salary and benefits for viticulture and enology faculty and staff, and $9.7 million on grant programs. Industry donated an additional $6.6 million. Most of that industry figure finances statewide commissions, and includes commodity taxes and a special assessment for Pierce's disease. The relatively small amount remaining supports the AVF, a non-profit corporation chartered to raise funds for viticulture and enology research. The AVF in 2007 awarded $1,169,223 to 35 year-long projects that began this spring. AVF joined with the California Competitive Grants for Viticulture and Viticultural Consortium West, programs supported by state and federal taxes, to increase the overall budget for vineyard and winery research awarded by AVF to just under $1.5 million for 2007. Projects average about $42,000 each, and many generate scientific data, not basic research. 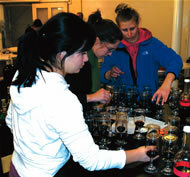 About two-thirds of the 2007-08 grants support viticultural programs while the rest support studies in enology. Nearly one-quarter of the projects promote activities that are useful but are not scientific research, like an international symposium on the decline of Syrah, a national registry for grape varieties and clones, viticulture outreach seminars, and evaluations of heritage Zinfandel and winegrape varieties for the San Joaquin Valley. "Our vital viticulture and enology research efforts have been eroded by the severely diminishing research role of government and land grant universities," says AVF executive committee chairman Hal Huffsmith. "The AVF receives voluntary contributions from more than a thousand members for research that addresses a number of industry priorities including nematode resistant rootstocks, powdery mildew suppression, mealybug control and phenols in grapes and wine. "The wine industry faces a series of challenges that range from the introduction of exotic pests to regulatory requirements for CO2 emissions and carbon sequestration, to processing waste and irrigation water run-off," he adds. "The Wine Institute, California Association of Winegrape Growers and other industry organizations have taken an active role in bridging the funding gap. However, it is clear that additional industry support will be required to effectively tackle these significant issues." Although annual sales are roughly equal, California's dairy industry spends almost three times on research as the state's wine industry. With shipments exceeding $11.4 billion of cellar-door revenue for 2006, U.S. wineries delivered table, dessert and sparkling wine worth nearly as much as the 4.5 billion gallons of packaged milk and dairy products that 139 California milk processing plants produced last year. Yet the wine and grape industries donated $1.2 million for scientific projects, seminars and surveys to the AVF, while milk producers contributed $3.1 million to the California Dairy Research Foundation (CDRF) for fundamental scientific research. The difference in the amounts raised is multiplied by matching grants. "Much of the dairy producers' support is matched by various groups including the University of California and California state universities, dairy manufacturers, other associations, as well as federal and state governments," says Dr. Joseph O'Donnell, director of CDRF. With manufacturer, university and government support, dairies helped fund more than $10 million of basic research in California this year. "Leveraging the initial investment from producers extends what researchers can accomplish and underscores the relevancy of their work," O'Donnell says. California's 2,107 dairies pay a mandatory assessment of 15 cents per hundred-weight to promote milk products and support research. The CDRF receives a small portion of the assessment to cover its stake in research projects. Typically, the foundation pays for the cost of some equipment and research assistants. The university contributes wages and benefits for the investigating professor, and overhead expenses including laboratory space. The manufacturer or government agency and the foundation cover direct expenses such as additional research assistants, supplies, equipment and cost of publication. "Leveraging the initial investment from producers extends what researchers can accomplish and underscores the relevancy of their work." "We work with our research partners to reduce risk by absorbing the cost of fundamental research," O'Donnell says. "All results are published in scientific journals, and released to the general and trade media." A seven-person board oversees CDRF, with a program that encompasses nutrition, health, manufacturing and quality assurance. Three representatives from the California Milk Advisory Board, the president of the California Creamery Manufacturers, an officer of the California Dairy Council, a representative from the California Dairy Institute and a member of the National Dairy Board ratify CDRF's five-year strategic plan and approve or reject projects based on peer review. "Science runs the show," O'Donnell says. "We focus on the common needs of the industry." Since 1991, Australia's Grape and Wine Research and Development Corporation (GWRDC) has funneled tens of millions of dollars into innovation, technology, sustainable production, market intelligence and R&D program management for the Australian grapegrowing and winemaking industry. Seven thousand grapegrowers pay a levy of AUD$2 per ton on grapes grown and delivered to wineries (AUD$1 = USD$.92). Two thousand winemakers pay $5 per ton on grapes made into wine. The Australian government matches this commodity tax dollar-for-dollar up to one-half percent of the gross value of production. When Australia's Yellow Tail sold $621 million worth of wine in 2005, it became the first import ever to lead the U.S. wine market in sales. With an anticipated winegrape crop of 1.5 million tons for 2007, the GWRDC will receive AUD$10.5 million from industry and $13.2 million from the government for basic and applied research. That compares to USD$1.1 million from industry and $860,000 from government for winemaking and grapegrowing projects in the U.S. This year, Australian research scientists are exploring grapevine physiology and the chemistry and microbiology of winemaking. They are also considering how R&D can reduce costs and increase efficiency. And for 2007-08, they will evaluate consumer preferences, studying how to grow grapes to specification and produce wine that suits every segment of the market. "(Australian) researchers are gaining a greater understanding of the attributes of a region," says Dr. John Harvey, executive director of the GWRDC. "They are exploring winery processes and viticultural techniques to enhance a bottle of Shiraz from the Barossa Valley." Australia produces about 4.4% of the world's wine and 8% of its exports. Undaunted by their strong dollar and international markets, Australian winemakers are searching for ways to sell an additional AUD$4 billion of wine by 2011. "We are looking for incremental improvement," Harvey says. "It doesn't take long for the numbers to stack up." A recent cost-benefit study states that the current portfolio of GWRDC research projects will yield an 8:1 return on investment. 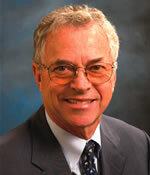 "If we are really going to get serious about funding research and extension programs, we need to be competitive in a global marketplace," says Bill Nelson from WineAmerica, "It's essential that we establish a mandatory program for industry contributions that leverages funding sources to direct research into areas that industry feels most important." Nearly two-thirds of all California crops are covered by marketing orders, programs in which producers pay a mandatory tax for services such as marketing, research and quality assurance. While the legislature establishes the legal framework for an order, producers suggest specific provisions, the Secretary of Agriculture approves the order, and a vote by producers enacts it. Following a market order first ratified in 1968, the Citrus Research Board recommended a levy of 2.8 cents per 55-pound box of fruit to the California Department of Food and Agriculture for its 2006 research program. The agency collected $3.2 million for scientific projects that explored plant physiology, plant pathology, entomology and emerging technology. "It's essential that we establish a mandatory program for industry contributions that leverages funding sources to direct research into areas that industry feels most important." 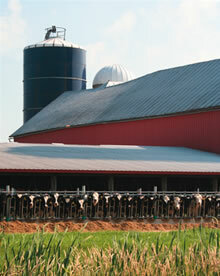 But as the California dairy industry recently learned, several million dollars a year is not nearly enough. A report prepared by McKinsey & Company for the California Milk Advisory Board cites investment in innovation as one of three challenges that the California dairy industry faces during the next two decades. Limited funding from government and industry for fundamental research has created a shortage of Ph.D.s for industry and university research. A shortage of funds also means a shortage of equipment. A quarter-century of neglect requires the U.S. winegrape and wine industries to invest tens of millions of dollars into research laboratories, equipment, researchers and graduate students to carry out fundamental scientific research and train the next generation of winemakers, viticulturists, enologists and industry leaders. "The number of university-trained researchers is a limiting factor for meeting industry's plan to expand research," according to John Harvey from the Australian GWRDC. Time is running out for premium winemakers and grapegrowers in the United States. Since Selby Winery released its first bottle of Chardonnay nearly 15 years ago, annual revenue from U.S. sales grew $9.4 billion for domestic producers, $8.4 billion for foreign producers. Economists predict revenue for New World producers exporting to the U.S. will continue to grow, at the expense of small and mid-sized vineyards and wineries. "My long-term plan is to remain an independent producer of premium wines." Selby says. "High quality, public research would help me make the wise production and marketing decisions I need to compete in the global marketplace." 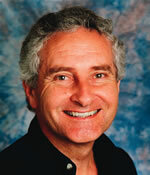 A regular contributor to Wines & Vines, Thomas Ulrich wrote the "Tech with Traction" cover story in the September issue. Based in Silicon Valley, Ulrich has written news and feature stories for Time magazine, the Christian Science Monitor and the Washington Post. He teaches journalism at San Jose State University. Students pursuing master's and doctorate degrees do much of the work when a college or university gets funding for a research project. To better illustrate the cost of research, Wines & Vines focused on the cost of engaging these graduate students. We interviewed professors at three schools with well-respected viticulture and enology programs. The ballpark estimates range from $35,000 to $55,000 per year per student to cover their tuition, stipend for living expenses, research supplies, the costs of travel and publishing their research results. These estimates do not include any capital expenditures on lab equipment, buildings, support staff or other overhead. Nor do they cover the salaries of the professors who supervise their work. These latter costs--costs that would necessarily be included in carrying out similar activity at a private winery or research institute--are not applied to industry-funded wine-related research carried out at a public university. These added costs would likely, at a minimum, double the price of a similar project at a private venture. If you take the average amount of an annual research grant by the American Vineyard Foundation, $42,000, it's clear that there aren't armies of researchers working on these projects. Moreover, many college professors need to hire a critical mass of students seeking master's and doctorate degrees to keep their departments and their careers vital. They don't often rely on one grad student at a time. 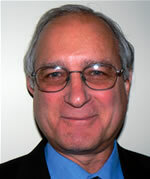 Dr. Ramón Mira de Orduña at Cornell University in New York, said that younger professors, not yet tenured, usually need to publish two or three times a year, have three or four students on their team--ideally including a post-doctoral person--and be graduating good people to go on to other universities or jobs, all of which help those junior professors to get tenure. At Cornell, an expensive Ivy League school, the line item for a student researcher is high, partly because of the high tuition and the commensurately high stipend that student researchers get to offset tuition and living expenses. That support is about $40,000 per year, Mira de Orduña said. Supplies, materials and fees for using equipment can be $5,000 to $10,000, and the cost of publishing and travel to present papers adds a few thousand more, for a total of $50,000 to $55,000. CSU Fresno department head Dr. Robert Wample said that cost of grad students in viticulture and enology at his university is less expensive than at many colleges, because the tuition is much lower than for California's UC system and lower than most private colleges. He considers $20,000 the minimum annual salary for student researchers. Add in supplies, travel and other expenses, and the total is about $35,000 for California residents. Dr. David Mills of the UC Davis department of viticulture and enology ball-parked the cost of a grad student there at $42,000 per year for in-state students, and at least $55,000 for non-Californians. 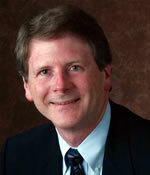 Mills said, "One graduate student and one project does not constitute an entire faculty member's research program. The performance of faculty members at any top research university is reviewed based on research, teaching and service. The question then arises, how many graduate students or staff researchers are enough to constitute a successful research program that will enable the faculty member to progress through his or her career?" Research groups on the UC Davis campus (see photos above) range from just a few people to more than 40, he said, but the average size group in the department of viticulture and enology is six to eight graduate students and staff researchers. At $50,000 per researcher, this means that each faculty member must raise on the order of $350,000 per year to maintain a "normal" program. Fourteen faculty members in viticulture and enology at UC Davis alone, with an additional 20 or so faculty within other UC departments or other research institutions affiliated with wine and grape research, apply for the $2 million pool of money. "It's obvious that there is not nearly enough to support $300,000 per year per faculty member," Mills said. "This means that the wine industry is funding far less than half and, in many cases, as little as one-sixth of a faculty member's research program," he said. Many professors, including Mills, feel compelled by these economics to go outside the wine industry to support their staffs, their research and their careers. He says members of Davis' V&E staff have gotten funding from, and are doing research for the pharmaceutical, dairy and biofuel industries, among others. "By working on non-wine related subjects, their career and research programs move forward unabated," Mills said. "The faculty obviously cannot do research in a field where little funding exists."